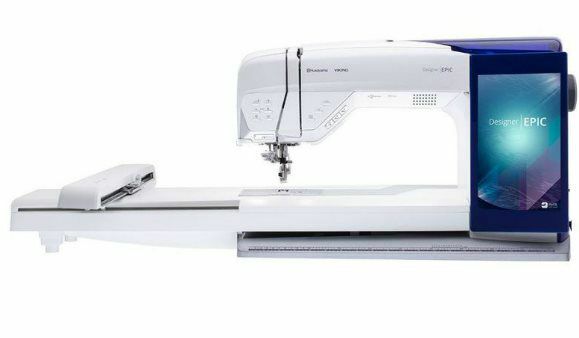 All of our Husqvarna Viking® home embroidery machines come with the capability of sewing/quilting within the machines! 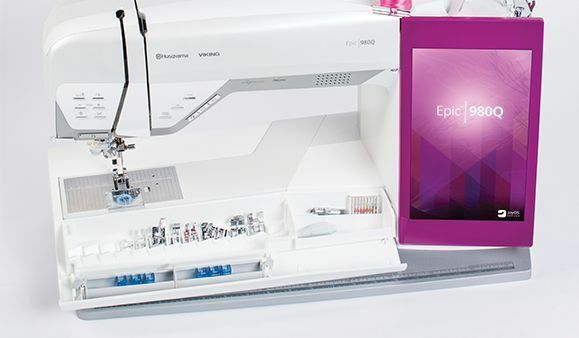 The DESIGNER EPIC™ sewing and embroidery machine is the newest in the top of the line Husqvarna Viking®­­. This machine has an impressive 10.1" tablet screen making it effortless in selecting anything from your stitches to your embroidery designs. 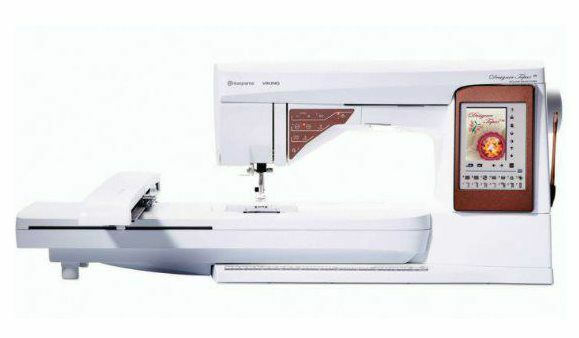 This machine also has step-by-step instructions to teach you different sewing and embroidery techniques from doing an invisible zipper to fringe embroidery. It also has an automatic needle threader making it effortless to thread your needle! It also has a 12" needle to tower clearance along with 5.5" height to be able to do those larger quilt projects! Come on in to check out our floor model! 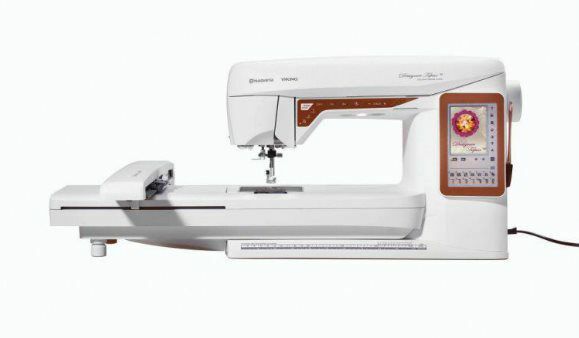 Our Husqvarna Viking® home sewing/quilting machines allow for you to have a great machine without having embroidery! Catch Joy by the Seams. With the EPIC™ 980Q, you’ll discover intuitive, leading-edge features created to help you get from “idea to done” in less time than ever before. The lightest and largest computerized sewing machine available to sewers today, this sleek and integrated sewing machine includes everything that our previous models have to offer, then takes your sewing experience to an entirely new level. You can enhance your creative capabilities, and bring any of your ideas to life – with any fabric. SEW IN VIVID COLOR See stitches in real size, and get all the sewing information you need directly from the Interactive Color Touch Screen. The 3.5” (70x53mm) screen with 320x240 resolution is Made for Sewers, by Sewers™ for a user-friendly experience. GENEROUS SEWING SPACE Sew large quilts, home decor projects and garments with ease on the nearly 10” (250mm) work area. 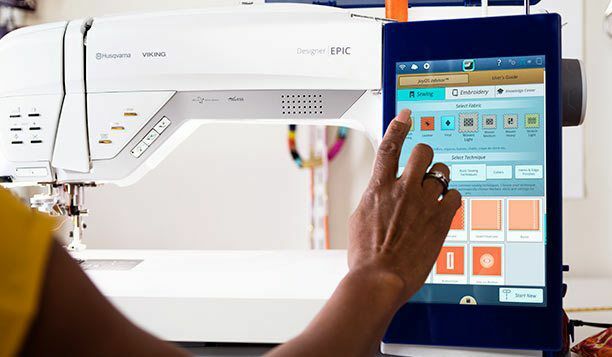 The sewing space on the BRILLIANCE™ 75Q allows you to produce works of art and inspiration of any size. 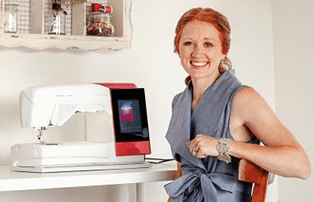 ASSISTANCE AWAITS Let the Exclusive SEWING ADVISOR® feature instantly set the best stitch, stitch width, stitch length, thread tension, and presser foot pressure for you. Simply select your type of fabric and sewing technique, and the stitch will be displayed on screen, along with the recommended presser foot, needle size and type. SPARK YOUR CREATIVITY The built-in selection of world-class stitches make for more creative opportunities. Add a unique spark to any project using Sequin Stitches, Pop-Up Stitches, Applique Stitches, and Theme Stitches. Only available from HUSQVARNA VIKING®. • Apply patented Dimensional Stitches by adding fabric or sequins for a unique decorative and textured effect. Go vertically, go horizontally, go all out as long as you let the sequins catch that light! • Select from four different stitches in the same family to create a unique themed stitch. EFFORTLESS FEEDING The Exclusive SENSOR SYSTEM™ technology automatically and continuously senses and adjusts to any thickness of fabric. The result is flawless, even feeding as you sew. SENSOR FOOT LIFT • The presser foot lowers and rises automatically to create maximum space when handling thick fabrics. • Automatically lowers feed teeth on extra lift for maximum space to slide thick fabrics and quilts under the foot easily. • Operates in four positions: down, pivot, up and extra lift. 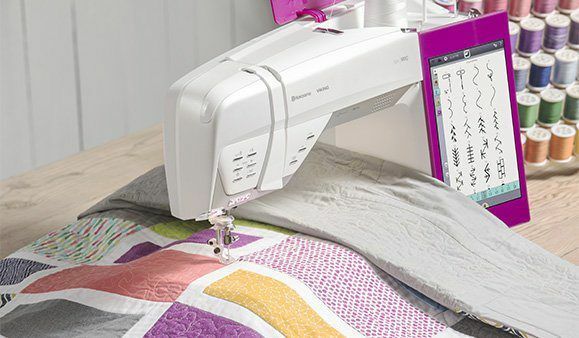 SENSOR FOOT PIVOT • Keep the automatic float position with needle down for instant pivoting, easy appliqué and quilting. • Leaves your hands free to guide the fabric. SENSOR FOOT PRESSURE • The presser foot continuously senses the thickness of the fabric to regulate pressure, for even feeding on all fabric types. 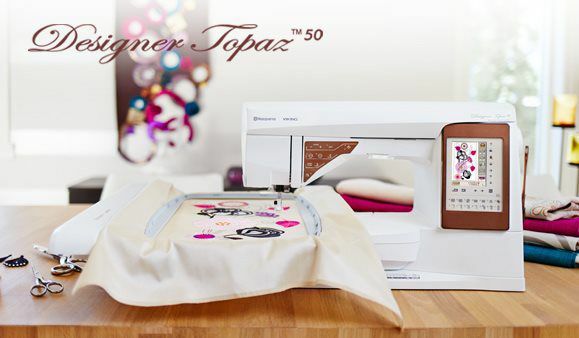 With the Designer Topaz™ 50 sewing and embroidery machine you also get the advantage of built-in assistance and time-savers to help you bring your ideas to life. Push your creativity to a completely new level. Expect fabulous sewing and remarkable embroidery! 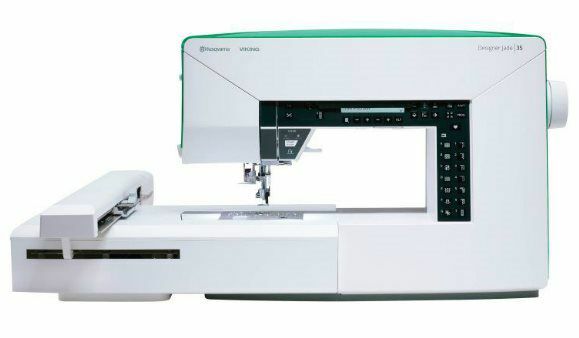 This machine can do up to a 360mm x 200mm (14"x7") for those large embroidery projects! You also have a 10" needle to tower clearance for those large quilting projects. 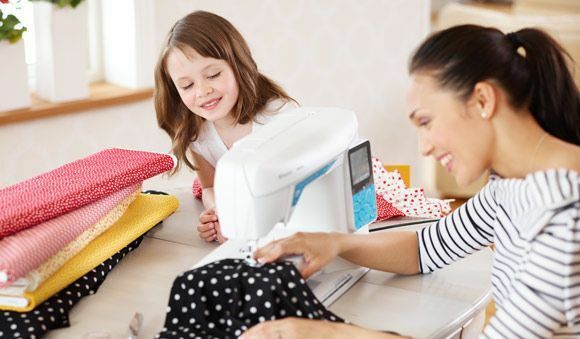 Easily transition between sewing and embroidery mode without having to turn the machine off or removing the embroidery unit! Come on in and check out our floor model! 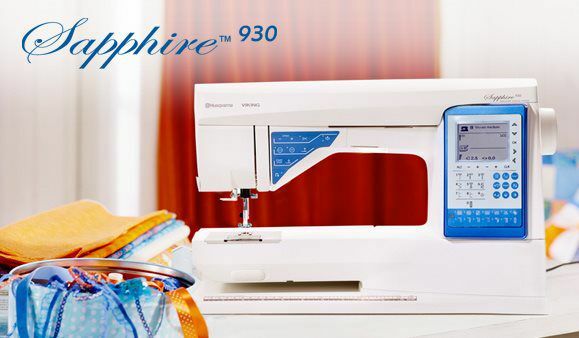 The Sapphire™ 930 sewing machine, offers many features that allow you to work with many different fabrics. You have a nice sewing space of 10" from needle to tower for those larger projects. On top of that, the machine guides you with its Sewing Advisor™ to let you know what it believe would be best setting for your current project that you'll be working on. It takes all the guess work out! Come on in and check out our floor model! 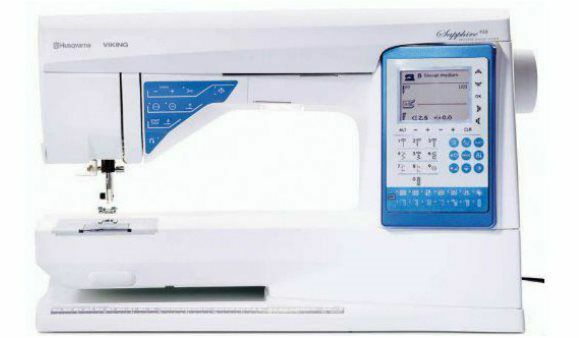 The Designer Topaz™ 40 is a fantastic mid-line sewing/embroidery machine. With a color LED touch screen, resizing and moving your designs become easy! You can do an embroidery area up to a 240mm x 150mm (9"x5") which allows you to do those 4"x4" and 5"x7" designs. You also have an 8" needle to tower clearance that allows you for ample space for those large projects. Come on in and check out our floor model! 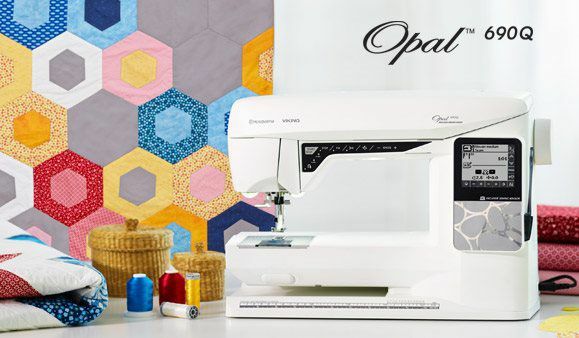 Our Opal™ 690Q computerized sewing machine is a fantastic light weight machine with plenty of bells and whistles that any sewer or quilter would enjoy. With an 208 stitches come on the machine along with four sets of programmable alphabets (brush line, block, Cyrillic, and hiragana). You have a modest 8" from needle to tower to be able to do some mid-size projects.  Along with all of that you don't have to mess with thread tension or foot pressure as the machine can adjust accordingly with what you put into the Sewing Advisor™. Come on in and check out our floor model! 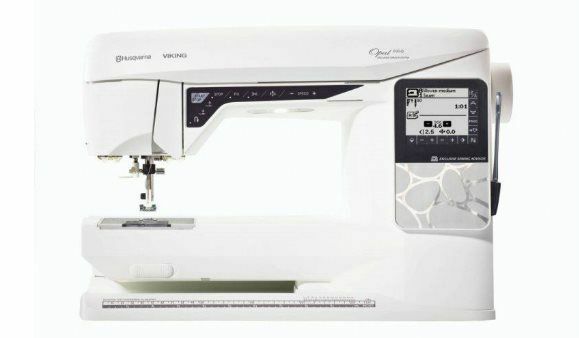 The Designer Jade™ 35 is a fantastic beginner machine that allows you not only your sewing capability but also have the ability to do embroidery. The machine comes with a basic introduction software for Premier+ that allows you to be able to resize, rotate, mirror and much more. The Designer Jade™ gives you the ability to use a 240mm x 150mm (9"x5") to be able to do many embroidery designs! You have a 6" needle to tower clearance to be able to do some medium size projects. Come on in and check out our floor model! 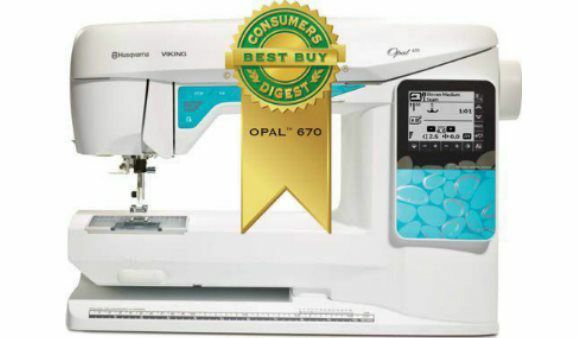 Our Opal™ 670 computerized sewing machine has plenty of features that allow for ease of use! It features a thread cutter for quick and easy removal of fabric. You also have 200 stitches with four sets of programmable alphabets (brush line, block, Cyrillic, and hiragana). 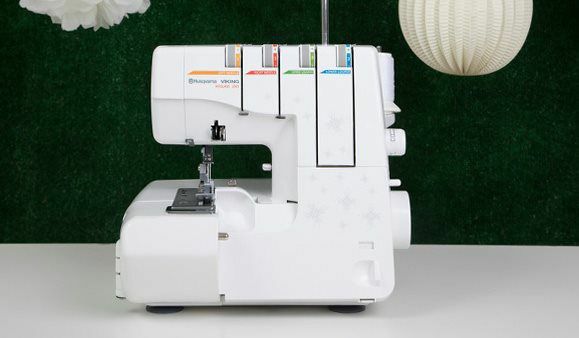 Along with the Sewing Advisor™, this machine also controls your thread tension for your different projects. Come on in and checkout our floor model! 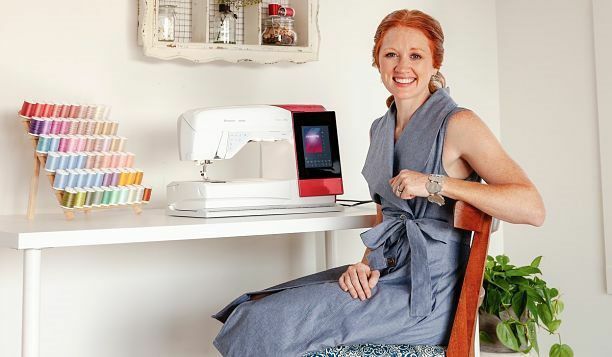 Our OPAL™ 650 computerized sewing machine is a great way to get a beginning machine with plenty of perks. 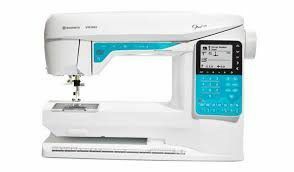 With 140 stitches and three alphabets (block, Cyrillic, and hiragana) this machine allows you to add a personal touch to any sewing project. You have a modest 8" needle to tower clearance along with the capability to do free motion quilting. Come on in and check out our floor model! 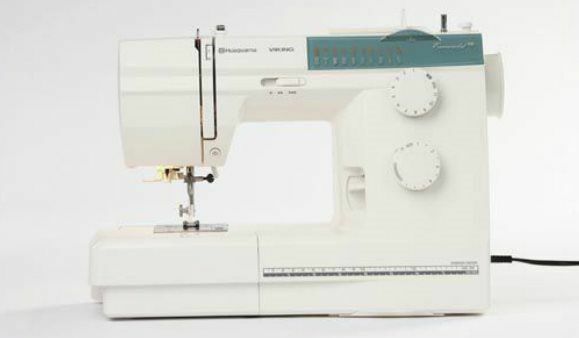 The Emerald™ 118 is a great beginning mechanical machine with three-speed slider and needle position! With 18 stitches, this machine allows you to be able to do those everyday mending and sewing needs. Come on in and check out our floor model. The Emerald™ 116 is the basic of basic mechanical machines. With 16 stitches and an easy one-step buttonhole it comes as easy as it can get. Come on in and check out our floor model!